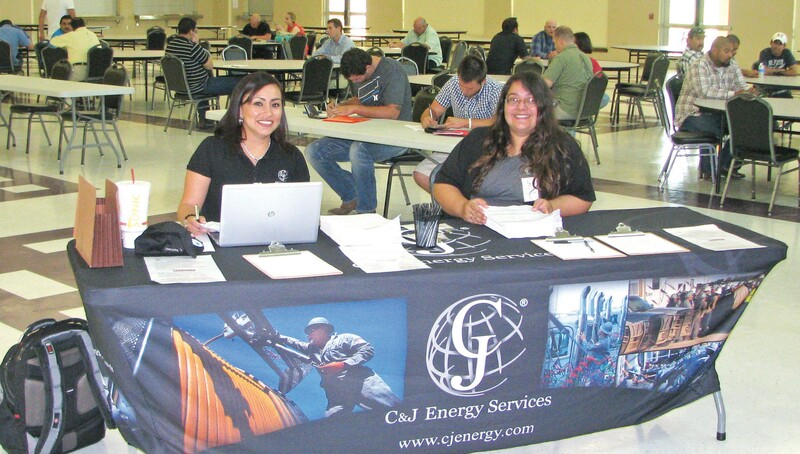 Christina Ramirez and Robin Urrea greet potential employees at the C & J Energy Services job fair Tuesday, July 28th at the Floresville Event Center. The company is now hiring for experienced equipment operators with a CDL, hydraulic fracturing, coiled tubing and wireline experienced mechanics, electrical technicians and engineers. If you missed the job fair check them out online at cjenergy.com/career-opportunities.